To evaluate the association between domestic and recreational physical activity (PA) and low back pain (LBP) after adjusting for genetic and environmental influences. Twins were recruited through the Australian twin registry. LBP prevalence and domestic (vigorous gardening/heavy yard work) and recreational (light walking, moderate/vigorous) PA were assessed by a validated questionnaire. 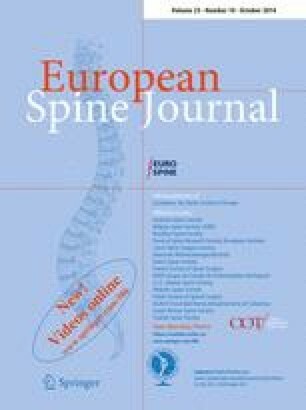 Associations were analysed using a cross-sectional analysis of the complete sample of 486 twins, including a matched case–control analysis of 69 twin pairs discordant for LBP. Logistic regression and the lincom post-estimation method were used for the analysis. Odds ratios (OR) with 95 % confidence intervals (CIs) were calculated. The case–control analysis showed that LBP was significantly associated with heavy domestic PA (OR 2.88, 95 % CI 1.29–6.43), whereas no significant association was found with any form of recreational PA. The results of the lincom command indicated that being engaged in both heavy domestic and recreational PA (light walking or moderate/vigorous) was associated with a significantly increased probability of LBP compared with being engaged only in recreational PA (light walking or moderate/vigorous, ORs 3.48–4.22). Using the whole sample, we found weaker associations but in the same direction. We found evidence that heavy domestic PA is associated with an increased probability of LBP, and the combination of heavy domestic and recreational PA might increase the probability of LBP more so than heavy domestic or recreational PA alone. Associations being greater when using the co-twin case–control analysis indicate that genetic and environmental factors influence the relationship between PA and LBP, and demonstrate the value of a twin design. MH is supported by a postdoctoral fellowship from the German Academic Exchange Service (DAAD). CM is supported by a research fellowship from the Australian Research Council. JLH is a Senior Principal Research Fellow of the Australian National Health and Medical Research Council.